A delightful getaway surrounded by the Anjengo backwaters, this uninhabited isle is accessible by boat from the makeshift jetty at the nearby Nedunganda Village. A 100-year-old Shiva-Parvathi Temple, rebuilt a decade ago, is also situated here. 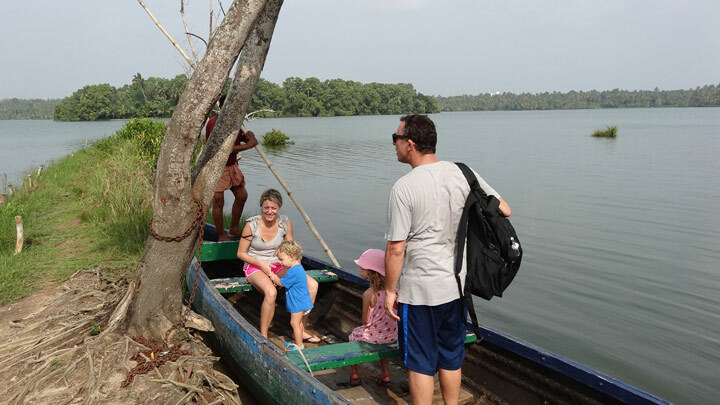 Ponnumthuruthu Island is just 10 km away from Varkala, the famous tourist destination in Thiruvananthapuram, Kerala.